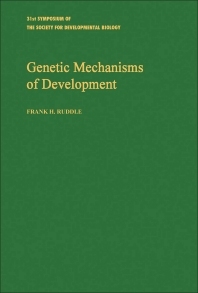 Genetic Mechanisms of Development is a compilation of articles that surveys the application of genetic systems of analysis to the resolution of fundamental problems in developmental biology. The book is composed of sections that deal with various aspects of genetic mechanisms. The first section tackles the genetic analysis of gene regulation in microorganisms. The second section discusses the application of Mendelian genetics to the study of the development of Drosophila, amphibians, and the laboratory mouse. The last section introduces somatic cell genetics, a tool for developmental biologists. Biologists, geneticists, zoologists, and researchers will find the book a good source of information. III. Is New Genetic Information Required for Development?